Tiffany & Co. platinum octopus brooch with pearls, diamonds and emerald eyes. 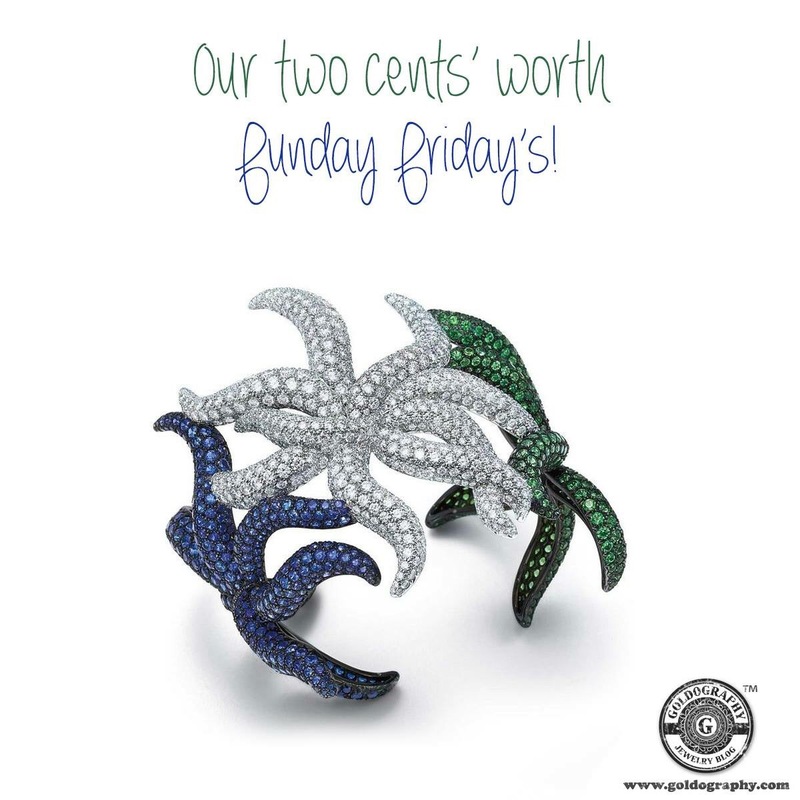 Tiffany & Co. 18K white gold starfish cuff bangle from their blue book collection with diamonds, sapphires and tsavorites. 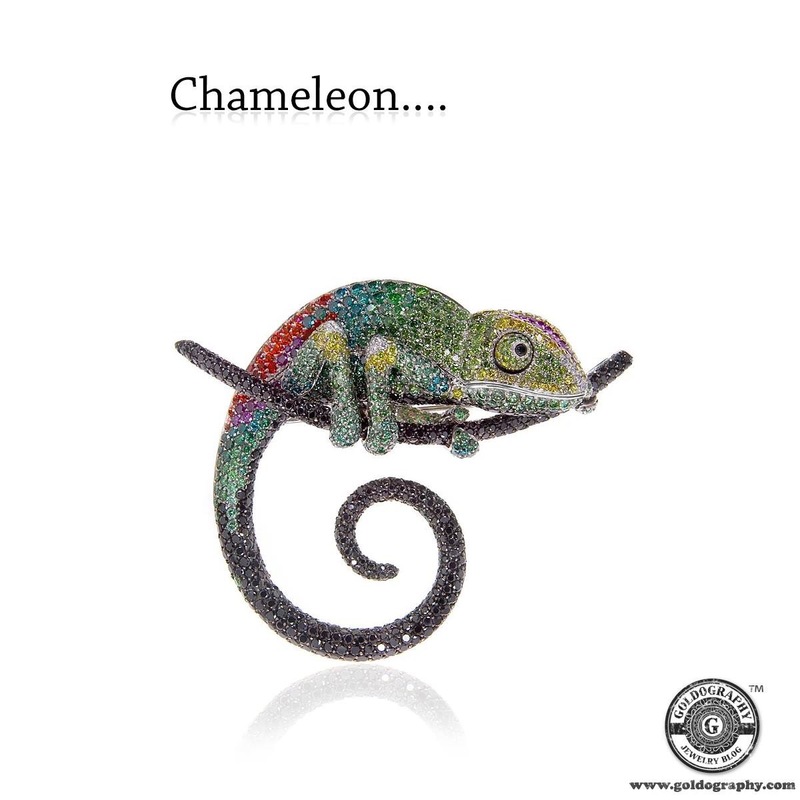 Palmiero 18K gold chameleon brooch, set with an array of diamonds, sapphires and topaz, each piece is crafted with such unique color patterns, that adapts to any fashion scene! 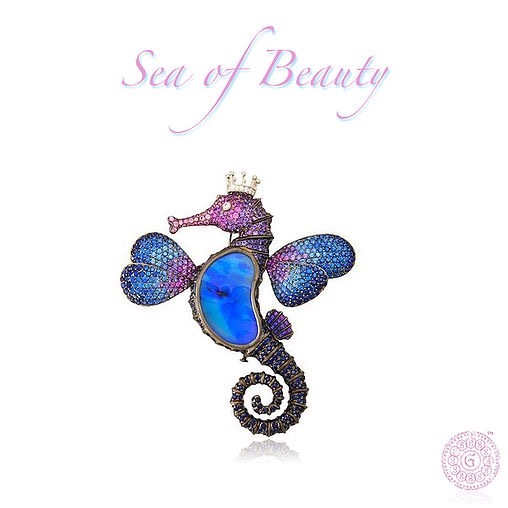 Lydia Courteille, sea horse brooch with opals, sapphires, amethysts and diamonds, a masterpiece with such rich and vibrant color/colour! Fun fact: Purple sapphires are an often misunderstood and underappreciated. They are actually quite extraordinary and far rarer than the more traditionally recognised blue sapphires. Unlike most blue and pink sapphires, which need to be heat treated in order to obtain their best color, purple sapphires very rarely require any heat treatment and are able to naturally change color in different lighting. 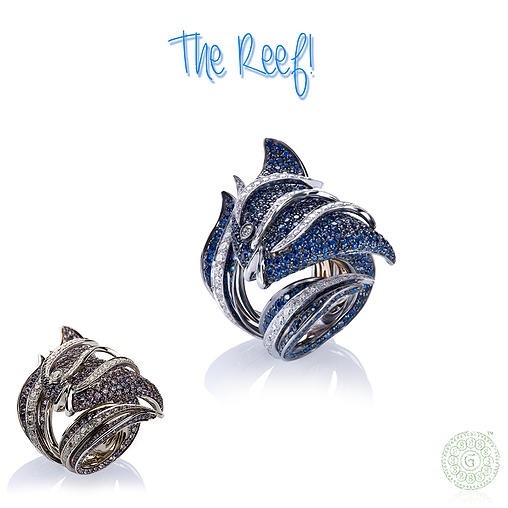 18K gold fish ring with diamonds and sapphires, fish-a-lic-ious, so pretty! Not so fun, fact: Coral reefs are fragile ecosystems, partly because they are very sensitive to water temperature. They are under threat from climate change, oceanic acidification, blast fishing, cyanide fishing for aquarium fish, sunscreen use, overuse of reef resources, and harmful land-use practices, including urban and agricultural runoff and water pollution, which can harm reefs by encouraging excess algal growth. We just had to say it! brooch, pave diamonds, spessartite and black lacquer, so cute! Fun fact: Spessartine, like the other garnets, always occurs as a blend with other species. 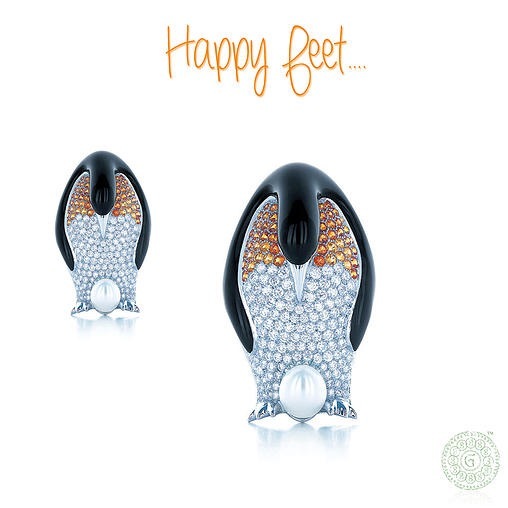 Gems with high spessartite content tend toward a light orange hue, while almandine prevalence induces red or brownish hues. 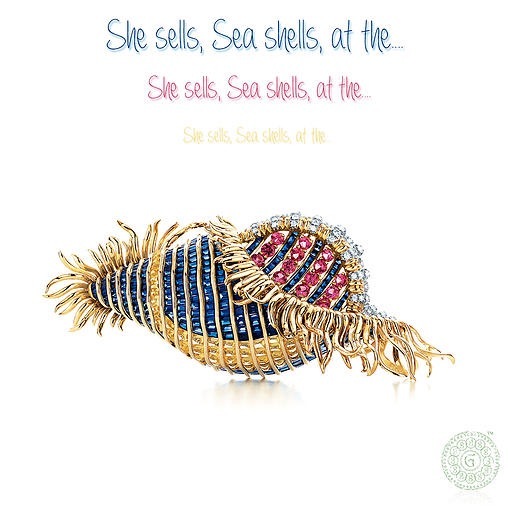 18K gold, and platinum, with blue, pink and yellow sapphires, diamonds all masterful set in this shell clip, out-stand-ing! Fun fact: The remarkable hardness of sapphires – 9 on the Mohs scale (the third hardest mineral, after diamond at 10.
goldography on Single & Loving it! Kiersten on Single & Loving it! Little Louvain on Beneath the Surface! goldography on Beneath the Surface!